A Federal High Court in Lagos yesterday temporarily forfeited to the Federal Government a parcel of land in Lekki, Lagos State, linked to a former Minister of Petroleum Resources, Mrs. Diezani Alison-Madueke. Justice Babs Kuewumi made the order following an ex-parte application by Economic and Financial Crimes Commission (EFCC) counsel, Mr. Anslem Ozioko. 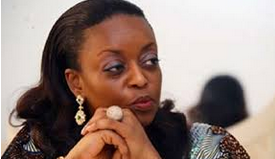 Joined as defendants in the ex-parte applications were Diezani, one Mr. Donald Amamgbo and a firm, Mez Group LLC. The land, valued at N325.4 million, is designated as Plot 13, Block II, Oniru Chieftaincy Private Family Estate. Ozioko told the judge that the land was suspected to have been acquired with proceeds of crime. Justice Kuewumi also directed the anti-graft agency to publish the temporary forfeiture order in a national daily to put interested parties on notice. He adjourned till July 14, for anyone interested in the property to appear before him to show cause why the land should not be permanently forfeited. The EFCC is seeking an order of the court to appoint “a competent person(s) or firm to manage the assets/property named and described in the schedule to this application”. An EFCC investigator, Abdulrasheed Bawa, said the anti-graft agency stumbled on the documents of the land sometime in 2016 while executing a search on the office of Amamgbo, an ally of the ex-petroleum minister. Bawa said the anti-graft agency also recovered from Amamgbo’s office an undated report titled, “Highly Confidential Attorney Work Product August Report,” among others. He added: “The report contained a list of 18 companies and several properties located in the United Kingdom, Nigeria and the United States of America.